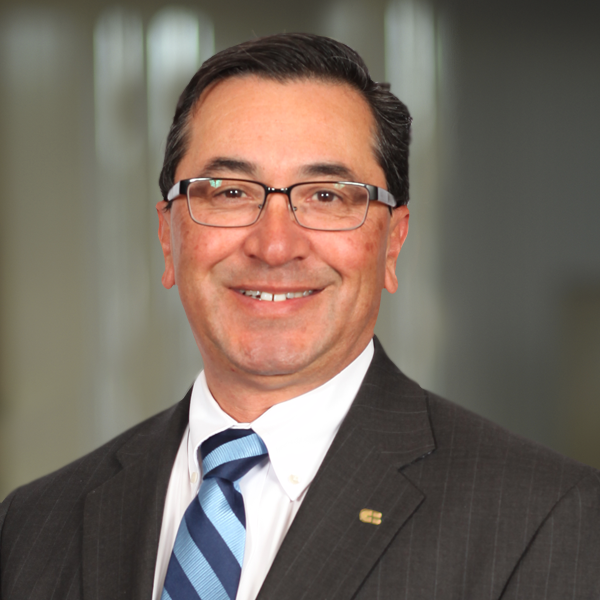 Gilbert Estrada brings more than 35 years of financial experience to his role as Senior Vice President and Regional Manager of the Inland Empire. Gil has a background working with middle-market companies in a variety of areas, including treasury management, specialty deposits, operations, and commercial services. Before joining Citizens Business Bank in 2014, he served as Director of Operations for Community Bank, overseeing 18 banking centers. In his current role at Citizens Business Bank, he is responsible for all of the Business Financial Centers located within the Inland Empire. Gil is a graduate of California State University, Los Angeles, with a Bachelor of Science in Business Administration and Finance. He is also a graduate of Pacific Coast Banking School.